All our Angel Card Reading events/trainings in mumbai are conducted by certified Angel Card Readers, who have at least one year of professional experience. When you book an event/training at Life Positive, you are protected by the Life Positive seal of trust. Valentine Special Card Reading offer Book 4 Tarot Oracle Readings @ 1000 And Get a Guided Relationship Meditation absolutely Free Valid from 3rd Feb till 1. . .
During Angel card reading training in Mumbai, you learn how to interpret each angel card. Angel Card Reading Training In Mumbai provides guidance with respect to your career, relationship, wealth, health, and other aspects of life. The course teaches you how to pick cards, how to read them, and how to decode the hidden messages in them. At times, the messages are not direct. You must dig out the meaning. affecting your growth adversely, you may change it. This is how you improve in life. Angel card reading courses in Mumbai help you to connect with the energies of angels. They want to love and care for you. They want to protect you. These angels work in accordance with the Divine force. They can offer you guidance and insight. Angel card reading courses in Mumbai help you in understanding messages from angels that motivate humans and help them go through life's ups and downs. 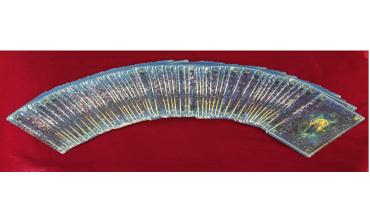 At first sight, angel cards look like tarot cards. They are not. Tarot cards work on metaphysical concepts like esoteric symbols, alchemy, and numerology. On the other hand, Angel cards work on etheric realms. They transfer messages from angels. The reading happens when the energy of the seeker interact with the response of the angels. Angel card reading courses in Mumbai gives you a golden chance to connect with your guardian angels. This is a different world, some of you may not be aware of it. The course introduces you to the world of angel and their messages, the Divine energies present all around us, and how the Universe has all the answers to our life's questions.